Don Mullan returned to Ireland from Brazil in March 1984. By then the case of an Irish missionary Fr. Niall O’Brian, who had been imprisoned in the Philippines together with eight companions on trumped-up charges, was making headlines. 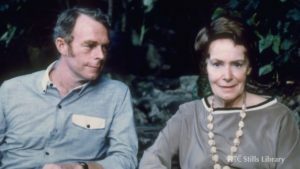 AFrI was actively engaged in the campaign to have them released, primarily through the involvement of a member of the AFrI Executive Committee, Jack Hynes, a former missionary, who had spent most of his adult life supporting the struggle for human rights on Negros Island, the Philippines, the same island where O’Brien had been imprisoned. Hynes and Mullan had become friends during the summer of 1978 while Mullan was a volunteer with the Catholic Agency for World Development, Trócaire. Fr. O’Brien was working on the sugar-rich along with an Australian missionary, Fr. Brian Gore, Filipino priest Fr. 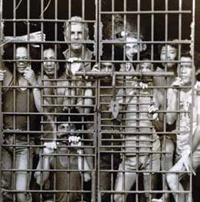 Vincente Dangan, and six Filipino co-workers: Geronimo Perez, Lydio Mangao, Jesus Arzaga, Ernesto Tajones, Peter Cuales and Conrado Muhal, when they were imprisoned in May 1983. They were accused of the murder of Mayor Pablo Sola and four companions, on the outskirts of the town of Kabankalan, 88 kilometers south of the capital, Bacolod City. and their families – virtual slaves to powerful sugar barons whose loyalty was with the Filipino dictator, Ferdinand Marcos and the Filipino military, including dedicated death squads, ruthlessly imposing martial law. Working closely with other development agencies, including Trocaire, human rights groups, missionary orders and the Filipino Irish Group, Mullan joined Jack Hynes and his colleague Joe Murray in mobilizing popular and political support for the Negros Nine in the lead-up to the 1984 visit of President Ronald Reagan to Ireland. This included a hugely effective AFrI initiative, the brainchild of Murray, of placing Fr. O’Brien’s mother, Olivia, inside a makeshift prison cage outside the US Embassy in Dublin and, again, outside the Garden of Remembrance at the very moment President Regan’s Air Force One landed in the Irish capital. By then the profile of the Negros Nine was such in Ireland that President Regan was asked on Irish television to intervene. Shortly afterwards they were released and the charges dropped. Upon his triumphant return home to Ireland, he was greeted by thousands of people at Dublin Airport, Whitehall Parish, Sean MacDermott Street Parish and the Mansion House, Dublin. Don Mullan was asked to travel with Fr O’Brien from Dublin Airport into the city in recognition of the seminal work done by AFrI and other Irish justice and human rights organisations. The visit to the inner-city parish of Sean MacDermott Street was particularly poignant as it was the location of AFrI’s headquarters and AFrI had engaged the local people in fighting for the freedom of the Negros Nine.